Home / Holiday Gift Guide 2016 / Personalized Books are Perfect Holiday Gifts! Personalized Books are Perfect Holiday Gifts! What is better than a personalized gift for your family or for the kids in your life? I can’t think of many things that make you want to continue to read a story over and over again, but having it with your names in the story is one of the best reasons! I See Me! has the absolute best personalized books, coloring books, stickers, lunchboxes and even ornaments. I have many books for my grandkids and their families and they are so well loved and always well received. The kids read them all the time, because even though they cannot read a lot of words yet, they recognize their names and it is so exciting to them. I love the ornament with this book! We got the 12 Days of Christmas book for my son’s family this year as they had a new baby and gotten married, it was the perfect time to start a yearly tradition of holiday personalized stories. They love the book and it included all of the names of family members, even the pets. It was a great way to read the story of the 12 days of Christmas. I highly recommend the family version. There are always these great bundles at I See Me! that allows your child to connect even more with a toy that goes with it the story! 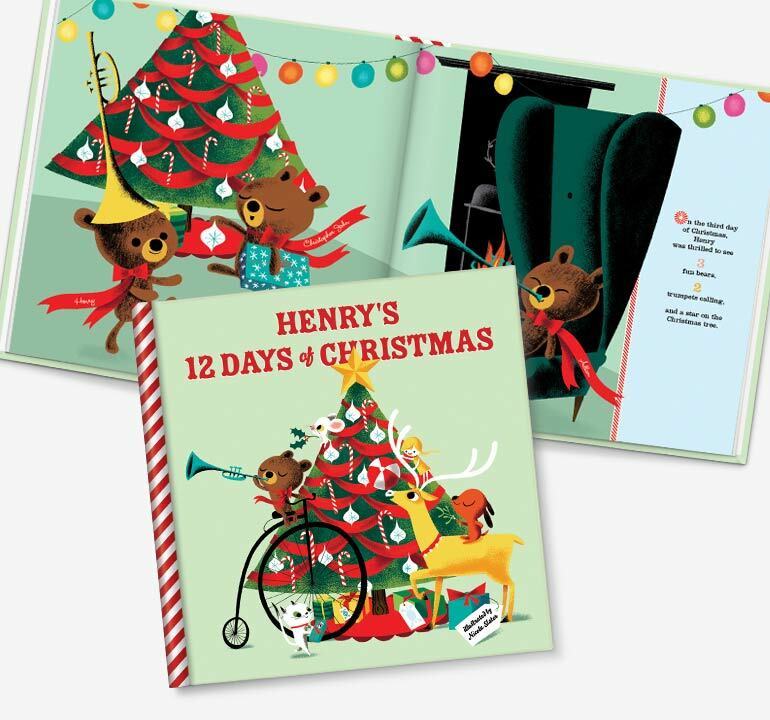 Some of the holiday books are bundled with personalized ornaments as well, that your child can hang on the tree. There are a lot of gifts out there, honestly, there are a lot of book gifts out there, but with I See Me! Children’s books you are getting a great gift as well as the experience of a child reading a book with their unique name folded into the story. They are really a fabulous way to encourage reading and family time. You can check out all of the special holiday edition books at their website and you can follow them on Facebook, Twitter, and Instagram to keep up to date on sales, specials, and new releases. I buy my kids a personalized book for each birthday and for christmas. i love the way their eyes light up when they see their own name in the book! My son has a personalized book and it’s his very favorite. We just moved and the movers seem to have misplaced a box or two and unfortunately, one includes some of his books. He’s pretty upset about it and so am I, especially because we literally have to choose between paying rent or having a christmas this year. These are Great Books that make Great Gifts. I Love that kids seem to love them so much. Seeing their name in print, a story that they appear in? How cool is that? Thanks for sharing your review. I’ve been using Shutterfly for my personalized keepsakes and I think it is time for me to up my game. Most keepsake items are geared more toward the adults than the kids and this is the exact opposite. My kids would love these! I love how much the kids just enjoy these books! This would be a fantastic gift for my granddaughter! I See Me! Personalized Book Giveaway - Here We Go Again...Ready? These are such great gifts! My kids love when I make up stories about them. And there’s no better way to get a kid to calm down for bedtime than to listen to a tale where they’re the star. I think Santa will be bringing these to my kids this year! I See Me! Books make wonderful gifts for young readers. I gave one to my niece when she was 2 or 3. It was one where she had to write the answers for the book and then you send the book back for them to put it in final form.